Contemporary art has branched into many genres, and postmodernist artists today play a big part in directing lines of creative thought. 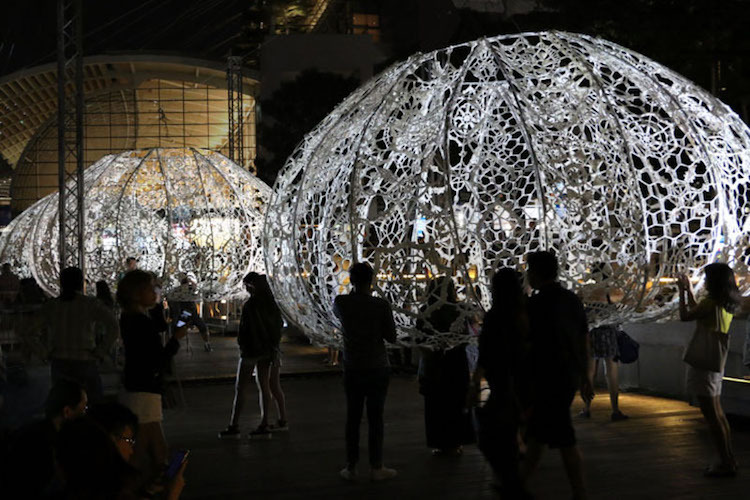 Technology is being used to create immersive platforms for public participation, involving the installation of objects in a space – Installation Art. Installations today have evolved into more than just a viewing of the exhibited art, like a traditional painting or sculpture, and now allow the viewers to enter and move around the configured space and/or interact with some of its elements. More recent installations engage several of the viewer’s senses including touch, sound and smell, as well as vision. 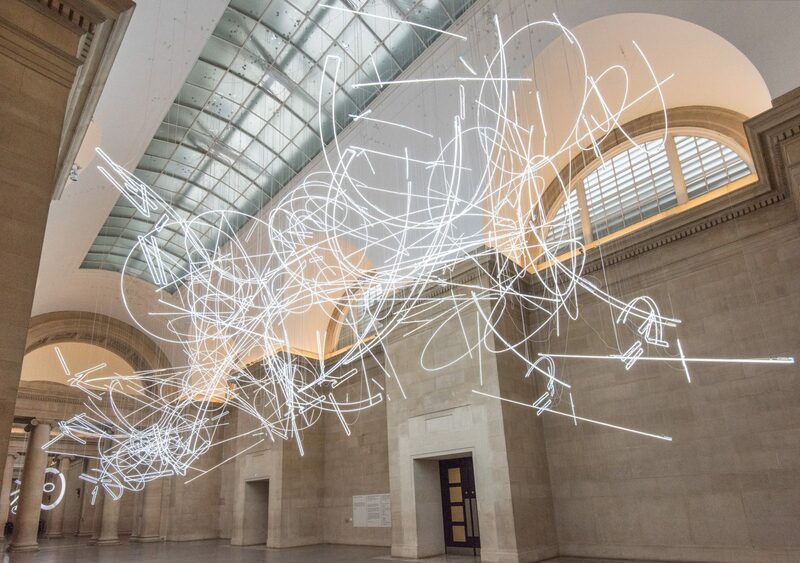 All time fans of art in every form, we’ve made a note of some engaging and experience-worthy installation art pieces that we would love to visit. 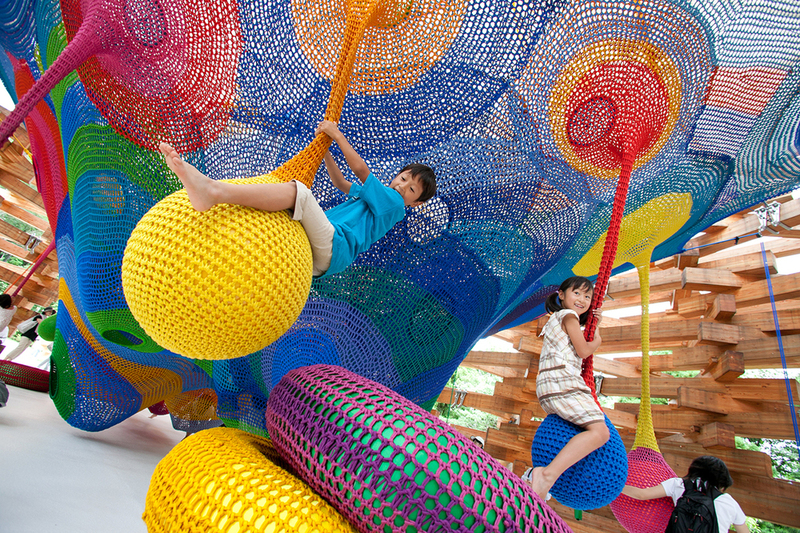 ‘Madness is Part of Life’ exhibition at Espace Louis Vuitton Tokyo showcases some interesting installation art that transports you right back to your childhood. Brazilian artist Ernesto Neto and Evandro Machado use transparent, stretchy, styrofoam pellets to create his installations of soft, biomorphic sculptures. Playscapes as they are referred to are exhibition spaces where viewers can touch, poke, and walk on or through the structures. 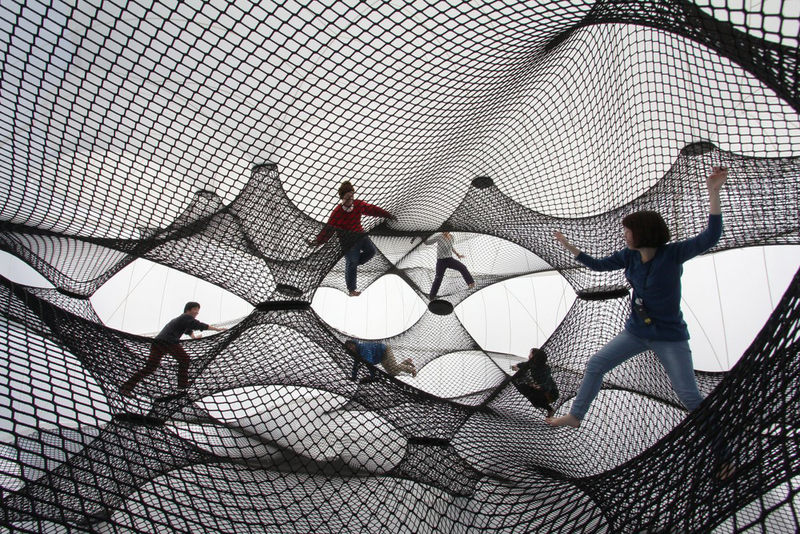 We love how playful and interactive the structures are, art for the kid at heart. 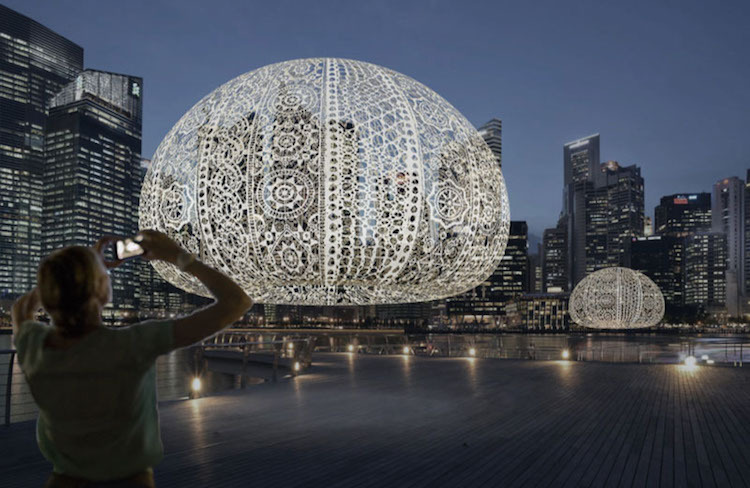 Crafted for Singapore’s i Light Marina Bay Festival, an event geared toward promoting sustainability, Choi+Shine Architects created The Urchins, a series of 3 interactive installations. The crochet sea urchin sculptures have been meticulously crafted by hand, offering viewers a one-of-a-kind immersive experience. The 56-foot-tall structures rely on natural light to cast ephemeral, ever-changing shadows during the day and move organically when touched. We adore how the giant sea urchin installations interact with their surroundings and bring an environmental issue to light in such a beautiful way, creating a lasting impression. 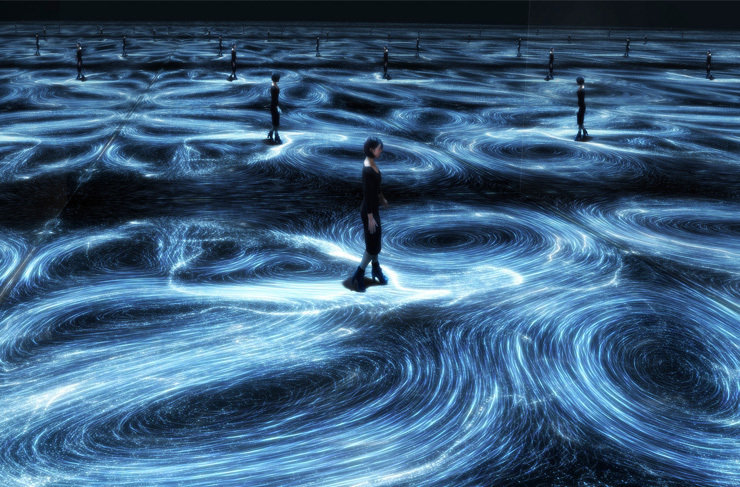 Teamlab has designed a lighting installation inside National Gallery of Victoria to look like whirlpools in water, created from ‘immersive and responsive’ lights that project moving lines on the floor, programmed to respond to the presence and movement of people in the room. The work is inspired by the life cycle of the ocean and reacts to the movements and pace of the viewers within the space. The eye-catching display seeks to remind us of the constantly moving, adaptive nature of the ocean and the flow of all light and life. Creativity is limitless, from the most fundamental sketches to the most complex of forms, drawing has always been a popular method when it comes to translating ideas on paper. 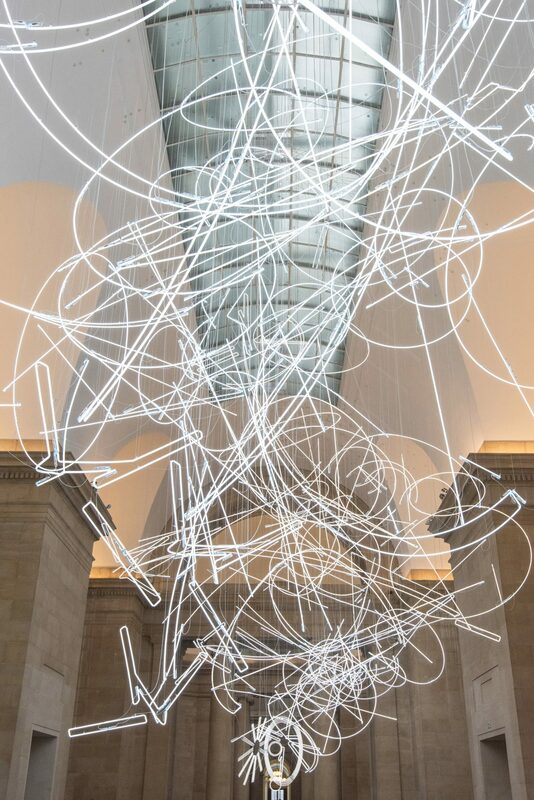 About 2 km of neon lighting shaped into sharp lines and sweeping forms, create this scribble-like installation by Welsh artist Cerith Wyn Evans, suspended in the Tate Britain’s Duveen Galleries. These maze-like lines are intended to mimic physical and kinetic gestures, like footsteps and folding material, intended to show changing perspective. We love connecting with this elemental piece and experiencing the different movements displayed. 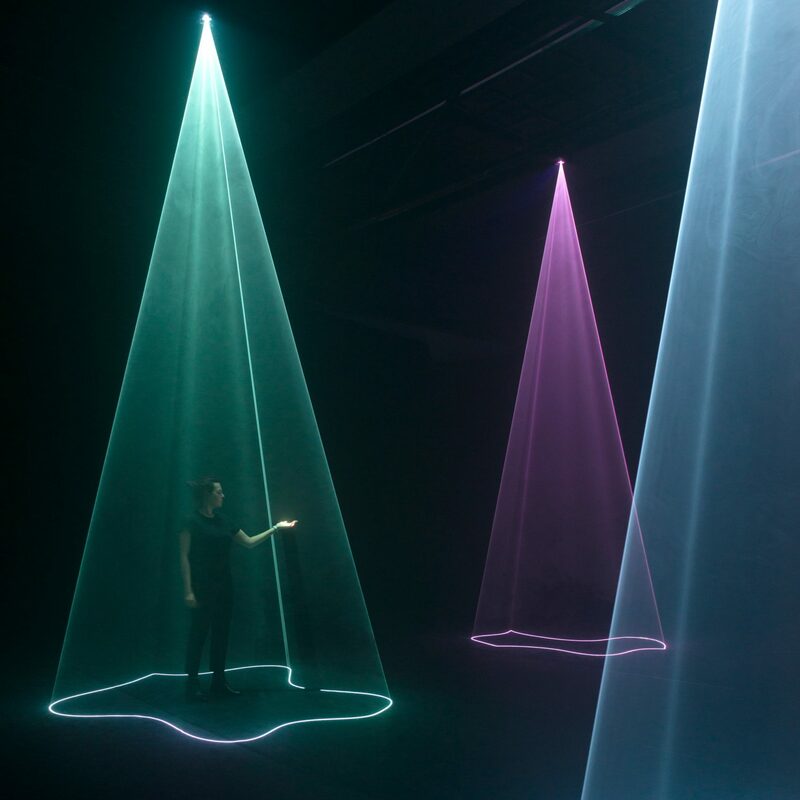 Studio Nick Verstand has created an immersive audiovisual installation at the Aura installation during the Dutch Design Week that reinterprets people’s emotions as pulsing light compositions. 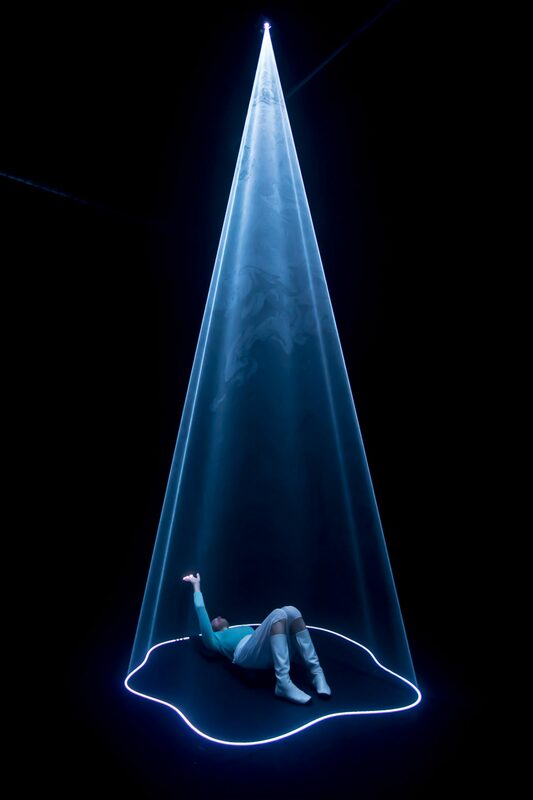 A musical composition is played and visitors’ emotional data responses are recorded with multiple biosensors, analysed and translated into different forms, colours and intensities of light that are then beamed down from above. We love that the mysterious composition symbolises the materialisation of internal metaphysical space into external physical space. This installation is representative of the creative process as a whole, representing the genesis of an idea, till when you finally have a breakthrough. 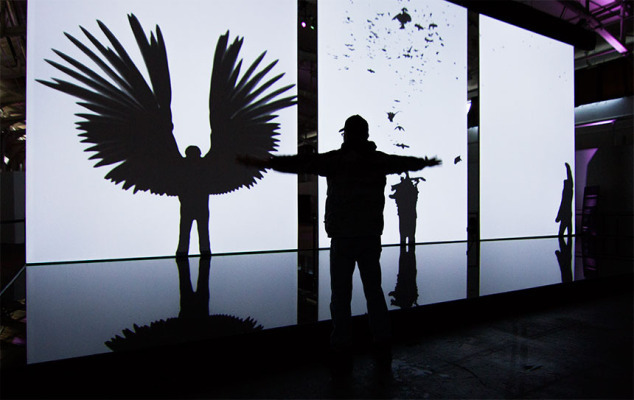 The piece is the brainchild of director and artist Chris Milk in Paris, its an interactive triptych of screens. 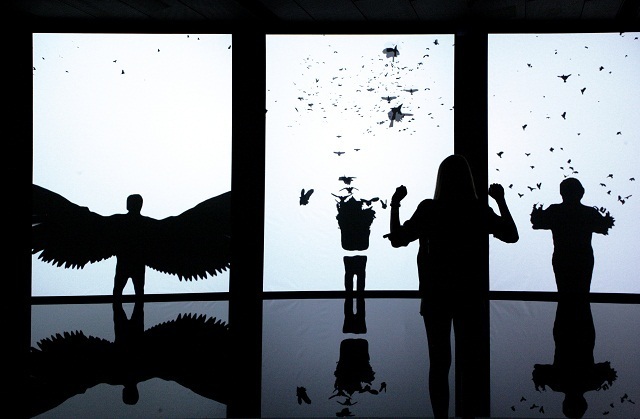 As viewers approach, their shadows dissolve into a flock of birds, are picked apart by birds, or they embody one in the final frame. The most interesting part is how the art can be as much about how one speaks to the piece, as how the piece speaks to them. 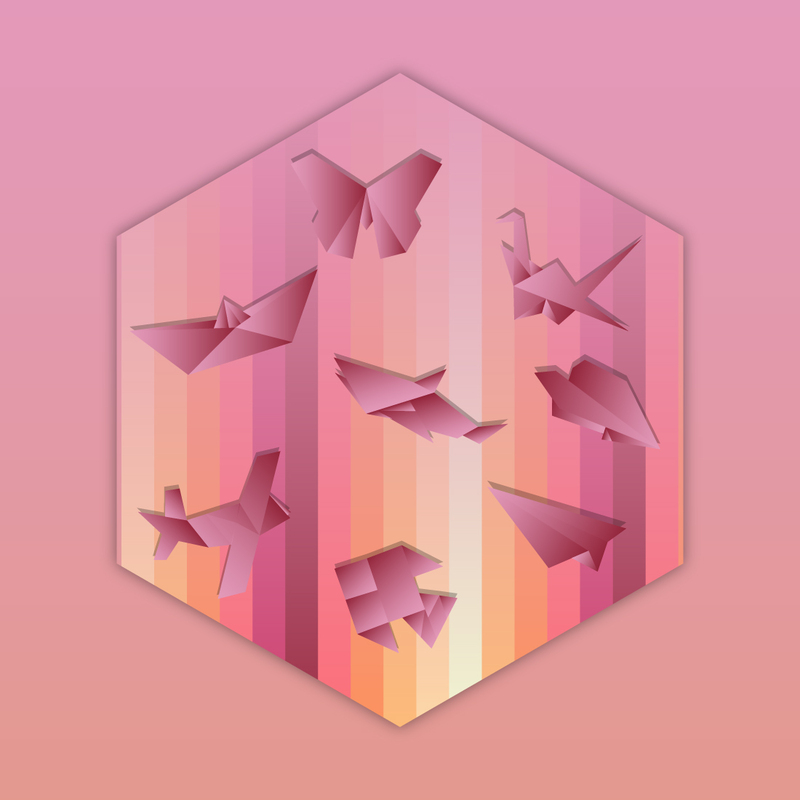 We love how its speaks of the complexities of mental development where things are deconstructed, the mind is almost entirely dissolved, till it finally emerges victorious in the end, the final idea taking flight. Gathering popularity in the mid 80s, installation art has come a long way from how it began, being tied to Conceptual Art, transforming the viewers and the artist. When viewed at first, some installations may resemble traditional craft-based sculpture or the more modernist assemblage art, but installation art effectively inverts the principles of sculpture. While the latter is designed to be viewed from the outside as a self-contained arrangement of forms, installations often envelope the spectator in the space of the work. 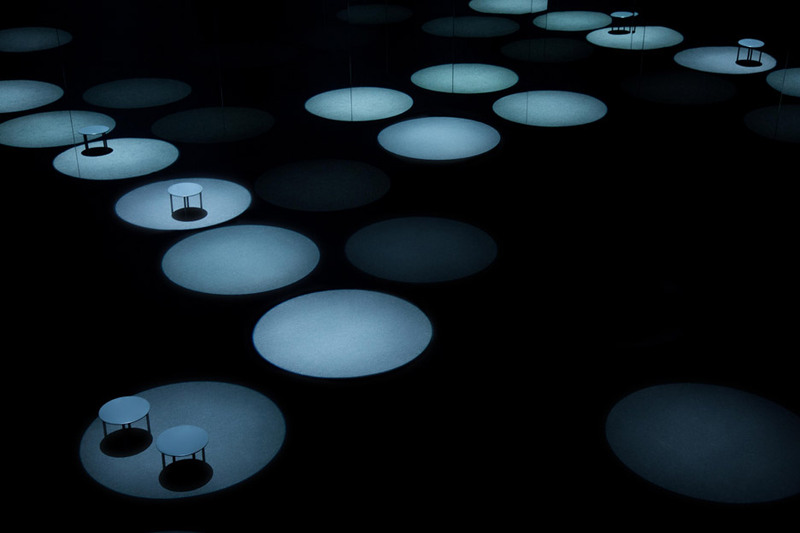 The viewer enters a controlled environment featuring objects as well as light, sound and projected imagery. The intended focus is the effect on the spectator’s spatial and cultural expectations and psychology. Some art has the power to truly change your perspective, move you and inspire you to no end. One reason why we relate to the saying ‘design is about form and art is more about ideas.’ Installation art leaves a longer impression and conveys the artist’s ideas in a way that moves or inspires the viewer.